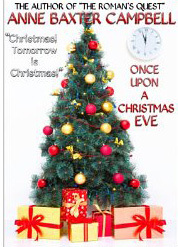 Once Upon a Christmas Eve | Narration by George! Click on the icon to purchase this audiobook. All fifteen-year-old Jillian wants is to go to her class Christmas party, but her mom is being mean and grounding her just because she didn’t clean her room. After all, it’s almost Christmas, and her mom should give her what she wants. What she’s about to receive instead is a very unusual visitor and an even more unusual gift. Available now from Helping Hands Press.